Driver cab Flathead full metallic sealed driver cab, there is way between the driver cab and seating room, double rows, four doors, panoramic curve type windshield. Tanker material Adopts high quality carbon steel, welding structure, anti-wave sheets, high-tech anti-corrosive treatment; choosing stainless steel materials. Pump rooms The pump installed in the meddle or rear, there are new type easy-pull high strength aluminum alloy rolled doors at the left and right side of the pump room and equipment box. Equipment box Adopts leading Euro technical aluminum alloy sheets in-built, full riveting structure. Electronic device There is long warning lamp at the top front side of the driver cab, the truck rear side with 24V and 60V fire area lamping light; the front of the right and left of the whole truck with red and blue flashing light and rear identification lamp ; there are also lights in the seating room, equipments box, and pump room, etc. installed 100V alarm light, slew alarm switch, prepared interface for the communication equipments. 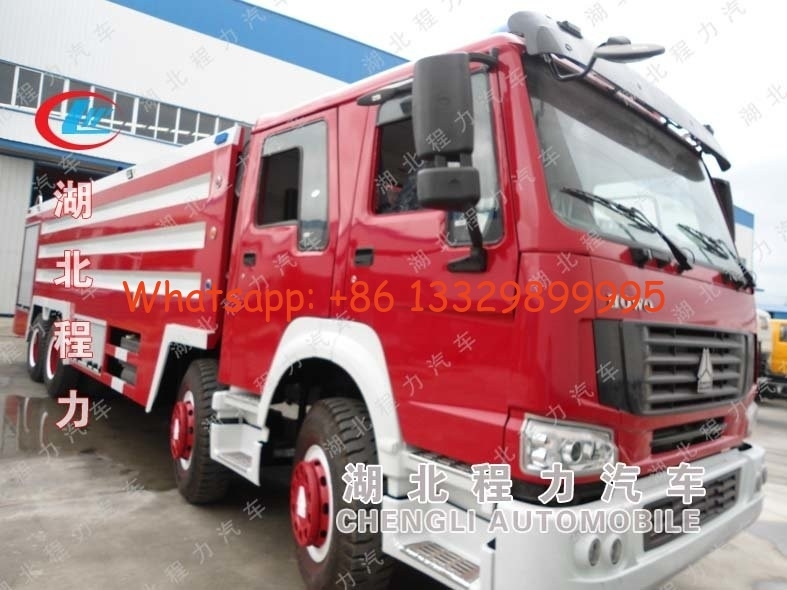 Chengli Special Automobile Co., Ltd. is the leading manufacturer of water truck, fire truck, tipper, garbage truck, fuel truck, sewage suction truck, truck mounted crane, cement mixer truck, LPG tank truck, semitrailer, etc. More information, please feel f ree to contact with us.